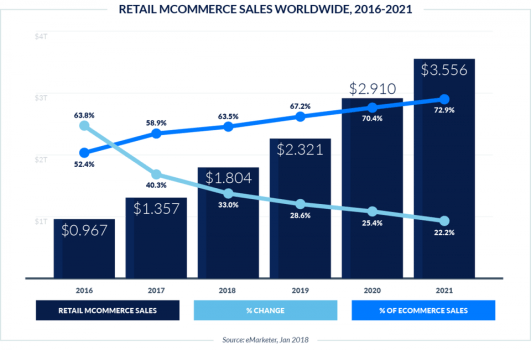 Global mobile commerce will hit $1.8 trillion in 2018 after 40% growthlast year, and almost 60% of traffic to retailer’s sites is mobile. Does that mean actual physical stores are toast, and desktop is dead? In fact, brands like Citi, Home Depot, Walmart, Unilever, and eBay are finding new and powerful ways of melding mobile commerce, ecommerce, and innovative in-store experiences to create retail experiences that surpass both digital-only stores and bricks-and-mortar only retailers.